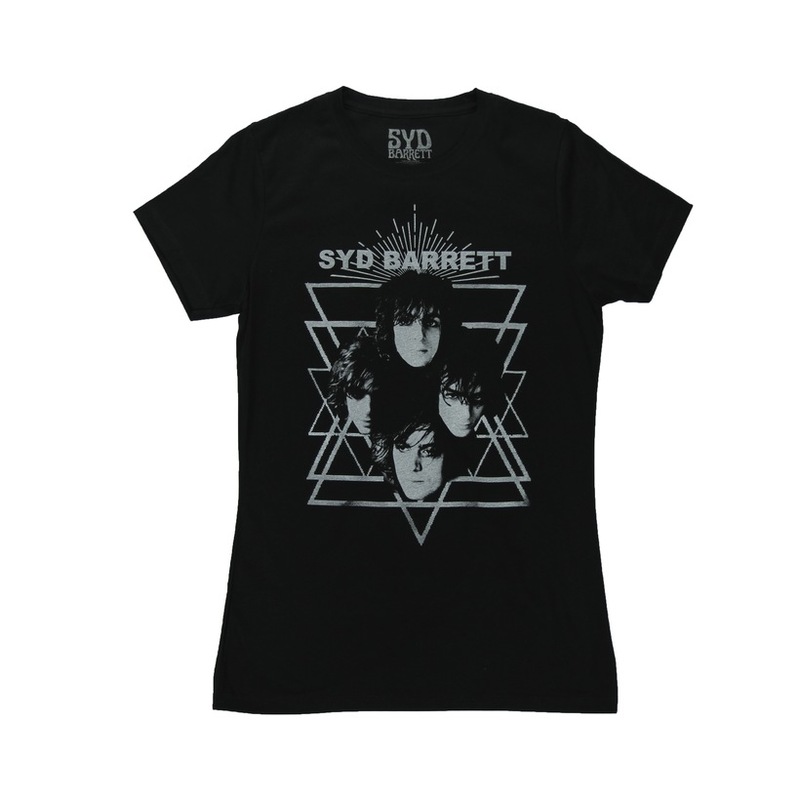 Black short sleeve "Syd Barrett" t-shirt with grey writing and Triangles Crown logo. very soft and comfortable. good product here.